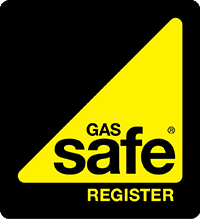 Our engineers are both Gas Safe registered and OFTEC registered, meaning that we are fully qualified to carry out installation, servicing and repair work on both natural gas and oil boilers. Based in Guisborough, we offer our installation, servicing and repair services throughout the surrounding area including Teesside and North Yorkshire. 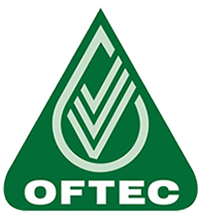 Are you looking for a high efficiency boiler to be installed by a fully qualified, experienced and Gas Safe registered (or OFTEC registered in the case of oil boilers) engineer? Then look no further than M Daniels Plumbing and Heating! We ensure that all boilers we install are quality and reliable and that each installation is carried out with the highest standards of workmanship. For a free, obligation quote on a new boiler, please get in touch with us today! We are a Worcester Accredited Installer and an Ideal Approved Installer, meaning that we have met the high standards set by these reputable boiler manufacturers and have undergone special training directly from them. As a result, we are able to offer extended warranties of up to 10 years on select Ideal and Worcester-Bosch boilers. Enquire within today to find out more about the warranties we have to offer. Have you boiler serviced and maintained to manufacturer specifications with M Daniels Plumbing and Heating. Boilers need servicing on an annual basis to ensure that they are in a safe working condition and performing to their potential. All manufacturers and models of gas boilers are covered by our engineers, so regardless of what boiler you have, please get in touch with us today. We can carry out servicing for both gas and oil boilers. If you're boiler has broken down and is in need of repair, please do not hesitate to get in touch with us today. When we arrive at your property, we will diagnose the boiler fault and then provide you with an efficient solution to the problem. We can carry out the diagnosis and repair of both gas and oil boilers. In the case of an emergency, we ask you to give us a call on 07730 037239 so that we can address your situation in a timely and professional manner. Thank you and we will look forward to your call.